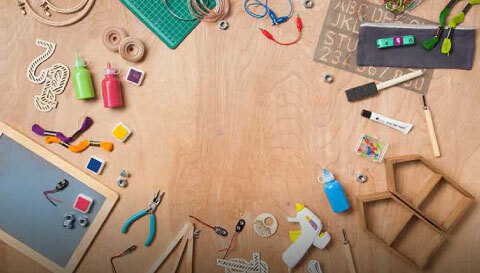 Here are some simple and fun ideas for arts and crafts projects to try with the MVP of craft supplies: glue! Make our own Flower Power Pillows that could last forever! The color combos and shapes are so simple yet so intriguing. This is a fun craft that your kiddos will love. It gets their little hands moving while expressing themselves through art!